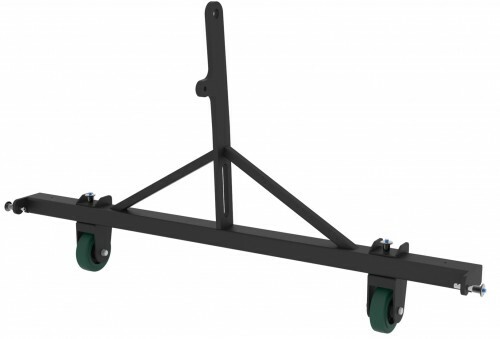 The WLFRML28 wheel frame takes the weight off the lowest-positioned cabinet’s wheel dolly, when setting-up the array in “caterpillar syle”. It is designed to support the lowest-positioned cabinet, during array lifting and landing. The frame is also designed to act as “pull-back” frame, when setting-up the array in compression-mode; By pulling the frame upwards, attached to the lowest-positioned cabinet, the array is pulled into the correct (pre-set) cabinet splay angles. The frame has two detachable castor wheels and can be stored in the FCGRD28 transport case.